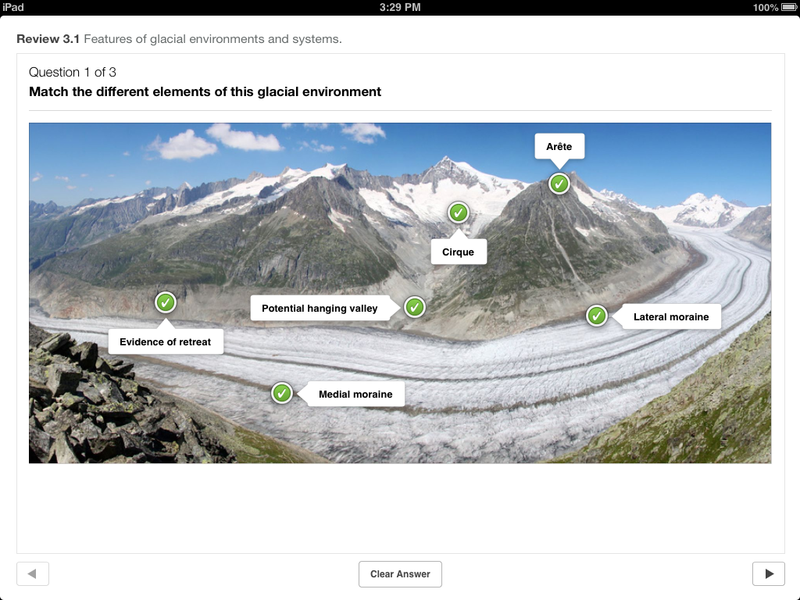 Extreme Environments is a free iBook that I found earlier this week on the Digital Geography blog. 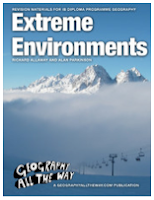 The book has four chapters about challenging environments, the characteristics of extreme environments, the opportunities and challenges of extreme environments, and the potential impact of climate change on extreme environments. 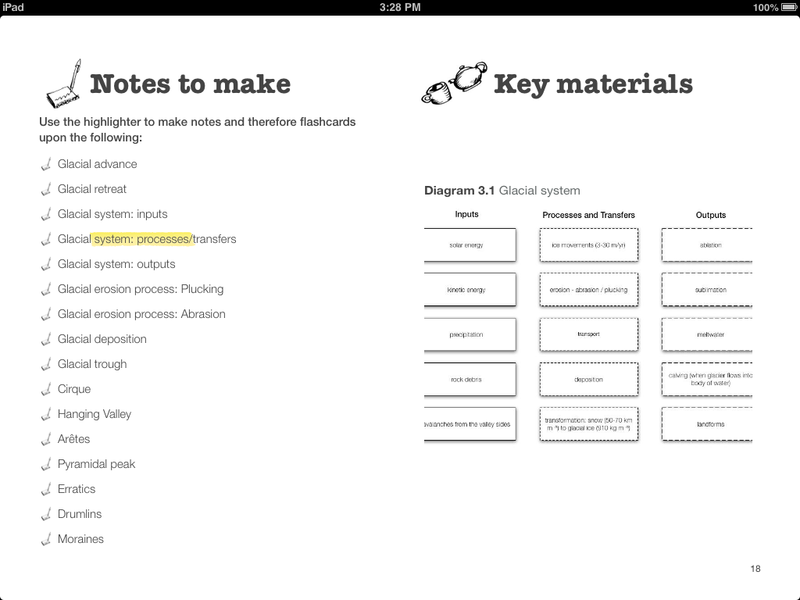 Within each chapter students can take notes and create flashcards. 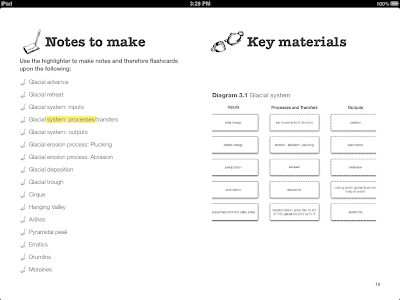 Each chapter has clearly outlined objectives. Throughout the book there are interactive graphics and quizzes in which students can test their understanding the topics covered in the book. Extreme Environments could be a great resource for students studying glaciers, deserts, and the unique physical geographic characteristics that they contain.